Usually we don't start threads for youngsters, but this is so funny it deserved its own thread, if anything to rile our friend Borusse. MUTU wrote: if anything to rile our friend Borusse. That should be enough to start any thread. So this is the guy who earned mone by selling at school cards which where with Marios signature? 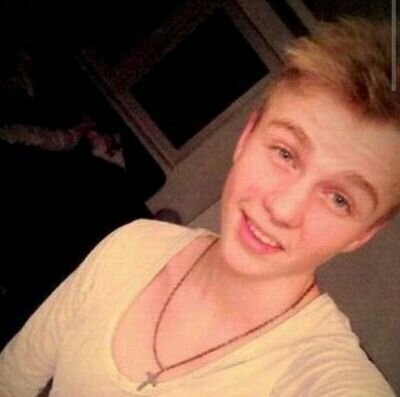 Looks like a younger Reus. So now we have 2 Schweinsteigers, 2 Riberys and 2 Götzes. Shall we get Thiago's brother from Barcelona? MUTU wrote: So now we have 2 Schweinsteigers, 2 Riberys and 2 Götzes. Shall we get Thiago's brother from Barcelona? that would be awesome, I've never saw him play but I heard a lot of nice things about him. I was going to say Felix Kroos, then I remembered we'd only have one Kroos if we got him. We should've extended with Kroos, signed his brother Felix, Rafinha Alcantara and his cousin Rodrigo. Boateng's older brother for the second team would be a nice addon too. I did some research. We could have our own referee too, Neuer's brother. Also Shaqattack has 2 brothers. JJJ wrote: Also Shaqattack has 2 brothers. Who look like bodybuilders too. I wouldn't mind getting Thiago's brother. He can play in various positions and I think he played as RB at some point. He can be our new RWB.